This week’s Ask Jug Dog question comes from Daniel, 30, from Liverpool and he asks “I’ve got a two-year-old Spaniel called Charlie and he doesn’t seem to be able to sleep. He isn’t naughty or anything but we can hear him pottering around most nights and doesn’t seem to be getting any kip. Do you have any advice how we can make our dog fall asleep and have a good night’s rest?”. ‘s nothing quite like watching your pooch sleep peacefully through the night or even during a day nap. However, not every dog is blessed with the ability to drift away easily and many puppies, dogs and elderly pooches can suffer from insomnia from time to time. Daniel’s question is fairly common so in this blog we give some helpful advice on some great methods to help get a dog to sleep. This is definitely the first thing every dog owner needs to do to help a dog sleep well at night. A dog who hasn’t been exercised can become restless and full of energy at night who will have trouble sleeping, just like a person would. Every dog has a different exercise requirement from another so how much exercise they need will not always be the same. Breeds such as spaniels and working dogs will need a lot more while sedentary breeds such as Pugs and Jugs will be done in after 1-2 walks around the park. You can always try taking your dogs swimming if they are confident enough. The point we’re trying to make is to have a good night sleep start by getting that harness on and get outside for some fresh air and stretch your legs! RELATED: Should you walk your dog in cold weather? Sometimes your dog may not want to go outside unless they’re bursting to go, which can be frustrating before bed time. We recommend start getting them into a routine of going outside before bed time even if they’re not the ones asking to go. It may seem harsh but you may have to lure them outside and almost ‘force’ them to go. After doing this for a few nights your dog will start to recognise what ‘outside time’ means and routinely go. If your dog wants to go to the toilet but everyone in the house is asleep it can keep them awake at night while they wait uncomfortably. As a bonus tip, regardless if they’re a puppy or an elderly dog be sure to give them a dog treat if they do ‘go’ before going to bed. This is a particularly important point on how to get a puppy to sleep. If you were forced to sleep on a hard floor or an area with damp then you’d probably struggle to sleep, too. Make sure your dog’s sleeping area is both comfortable and clean at all times. You pretty much need to make their sleeping area somewhere they really want to be and when they are there they are in total comfort. The position of the sleeping area is also important so don’t try and shove them into a dark and wet basement. A well ventilated clean and dry room such as the kitchen, living room is ideal. On top of a good area, make sure that your dog has a decent quality dog bed to sleep in as well – common sense dictates that if you have a good quality mattress then you’ll have a good quality sleep – this is just as true for dogs as it for us. Dogs are creatures of habit and react well to an established routine. Something which your dog will react well to is that bed time happens in the same way and at the same time every day. This will help them adapt, know what to expect and know what is expected of them. If you have multiple dogs sharing limited space, allow your dog to sleep on the bed or your dogs sleeping place changes frequently then this could cause your dog to need to be able to sleep well. Get your dog its own bed in its own space that never moves and you’ll get a dog to sleep much easier. This tip is similar to establishing a routine and get your dog a bed. Are you or do you have kids who are active during the night disturbing your pooch? Constantly being woken up can cause tiredness and a poor night’s sleep for a hound. 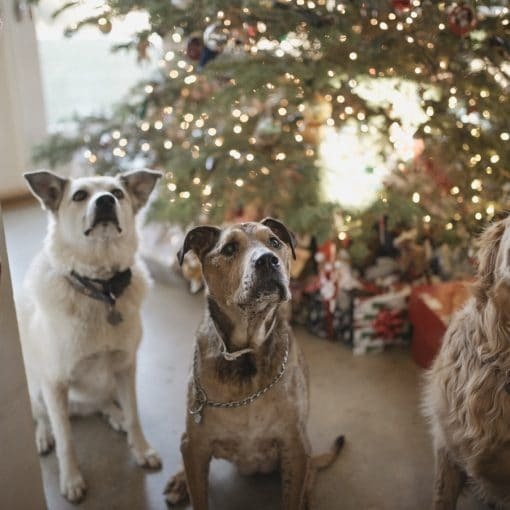 Try to educate your house guests on why your dog needs to be left alone and perhaps consider moving your dogs sleeping area away from the high traffic area in the house. We’d also recommend not placing your dog’s bed near any doors or windows where passing pedestrians could disturb them, especially if you have a ‘watch’ dog as this could put them on edge all night. If your dog normally doesn’t have any sleep problems but have developed problems recently then there could be an underlying health issue that needs your attention. The first thing we’d recommend is to see if there’s any obvious and visible signs and to take them for a vet if it lasts more than a couple of days. However, if your dog is suffering from any health issues a bad night’s sleep is likely to be one of the last symptoms you encounter. If you wanted to try something a bit different and you feel you’ve already tried the most obvious stuff then why not try dog sleep music? Music has been known to calm anxious dogs and get them to relax especially when it’s neutral and similar to white/pink noise. Getting a cheap bluetooth music player is extremely cheap and you can find all sorts of pre made albums on website such as Amazon Music, iTunes, Spotify and YouTube. Do you have a Home Assistant? 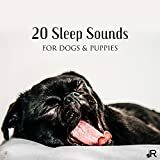 If so, if you load dog sleep music you can then add playing this music to your night time routine. One of the keys to a healthy life and a good night’s rest for your furry friend is to make sure they are fuelled by great food and always well hydrated. A good diet can do wonders for a dog and if your dog isn’t sleeping too well why not try switching their diet to a better one and always make sure they have fresh water available 24/7. Do you know what really helps get a dog to feel relaxed enough to doze off? Having a relaxed owner who isn’t stressing and being anxious. When it’s time for dog to go to bed don’t hang around or constantly check on them – relax and go to sleep yourself! Dogs can sense tension and worries which can affect their sleep. If they know you’re relaxed then they’re far more likely to be relaxed as well. Using medicinal sleep aids would not be our first choice to get a dog to sleep but if you’ve tried everything else then it’s definitely something to consider. We have dedicated an entire article on dog sleep aids which would give you more information if you so desire it. There you have it! We believe if you follow that advice starting from the top to the bottom you will have no problems at all getting your dog, puppy or elderly pooch to fall asleep fast. Have you used these tips? Why not share your results in the comments below.